Recently promoted or about to be promoted? Need to take stock of your own leadership competence? Or ensure that you are resilient enough to cope with today’s business complexities and challenges? 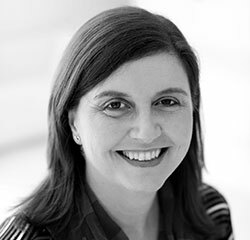 Jane, a LifeLab Associate, is an Executive Coach with a specific focus on executive, senior and middle managers. Her model is practical and performance focused and designed to support leaders. Jane was the Group HR Manager at Oceana Group Ltd, the largest and only listed fishing company in South Africa until February 2014 when she left to establish her own business. Jane worked for Oceana for 17 years and is a seasoned HR generalist with experience in all aspects of the human resource field: remuneration and reward, industrial relations, recruitment and selection, performance management, learning and development and organisational development. She was a member of the group’s executive committee and provided advice on all aspects relating to people to her colleagues and senior managers in the business in addition to leading the HR function for the group. Jane’s passion lies in supporting and developing people. She has demonstrated this throughout her entire career as she was responsible for coaching, mentoring and developing HR mangers for the retail company she first worked for in the UK and has continued with this developmental approach throughout her career at Oceana. In 2011 she completed the Certificate in Coaching practice at the University of Stellenbosch Business School (USB) achieving a distinction as well as the Director’s award for best student. She has recently completed her first year of the MPhil studies in management coaching at USB achieving a distinction for her coaching practice. She will be completing her research in 2014 which will look at how executive coaching can contribute to building personal resilience in leaders. Jane also holds a BA (Hons) in Public administration and is a Chartered Fellow of the CIPD (UK), this being the highest standard of membership available. She is a member of COMENSA and is governed by their code of professional ethics. She has one daughter who consumes most of her spare time and lives in Durbanville, Cape Town having emigrated from the UK in 1996.